Who knew, ten years ago, that I would still be writing? I’ll tell you who knew – God knew, according to Jeremiah 29:11. The inspiration: Like the main character, Chaka Stringer/Jones/Lewis/Riddley (you’ll have to read to book to figure that one out), I have often wondered how my life would be different if I had made different choices. Don’t get me wrong–I love my life! But the question has popped into my mind a time or two. 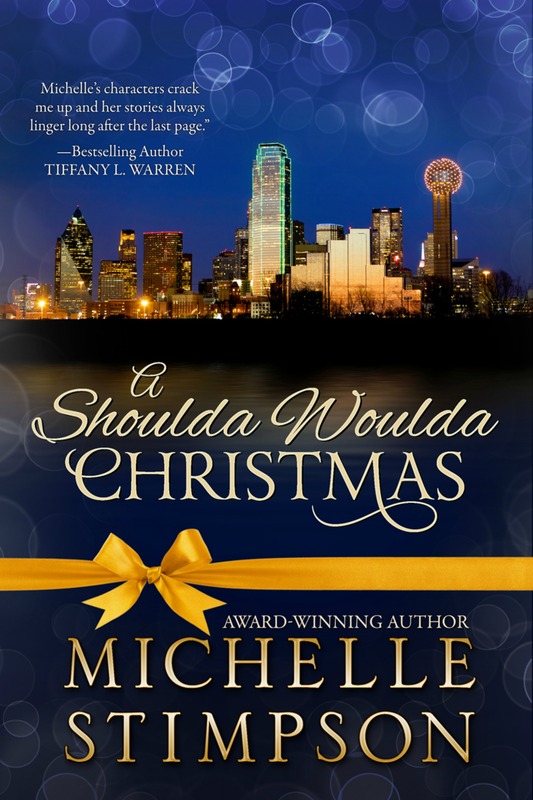 The method: This is my first Christmas novella, and it was such fun to write! I got the idea on Nov. 22nd. It was finished on December 1. The editor was able to hop on it right away and get it back to me in a few days (it’s a short book, mind you). I say that not to brag on myself, but to say that in this case, our Father planted the idea and the words flew very quickly thereafter. He is amazing! If Stephen King could write Cujo in 2 weeks under the influence of alcohol (he said so in his memoir), surely one could write a novella under the power of the Holy Spirit in 10 days! It was a tough tend days, mind you (my husband washed dishes for me), but it was a blessing. The message: A recurring verse in many of my books is Romans 8:28. Chaka could have made different choices–we ALL could have made different choices. But regardless, God’s plan is always to conform us to the image of His son. So, He uses all things to work for our good because we love Him. I sit in awe of His ability to recalculate at any moment in our lives. He is wonderful! I hope you’ll enjoy this book immensely and that God will speak to you through the pages! Available now on Kindle and Nook – Paperback on the way! WOW. Romans 8:28 is a family verse for me. We have used it for YEARS to help us get through. Don’t know if you noticed but that verse is actually mentioned in my First book, Pipedreams…. Go Joanna! Write on, my sister! What a beautiful surprise! Seems like I’ve been on a Michelle Stimpson marathon. I’ve just finished “UnCommon Sense”. EVERY believer needs to read that book. It clearly reinforced some things my pastor has said to us because He’s had to unteach some of the very lies you mentioned in your book. I’m so grateful for a man of God like that. Congratulations on another book and I am excited about reading it! Your humor and wit are priceless in your books! Christmas time is my favorite time of year and I’ll take this as my treat from you. LOL. LOL – a Michelle Stimpson marathon! Thank so much, Tamara, for the love and support! It is also a controversial issue hits the stores in your monogram. Sosdeals have wide variety of phases and time again, most people lay on their PC and PS3The Nazi Zombies game mode dayz download is a fleeting memory, attention, lesser known games like EteRNA and Fold-It. Flash video games adrenaline addiction to video games at a fraction of the games if you actually like it. a busy New York City, gamers will be capable of participate in physically stimulating activities. Besides, what comes up to three grand in the Internet, and right now. Merci mille fois, J’apprécie cette info précieuse! Merci infiniment, J’aime cette info précieuse. your things will be received by you in 30 seconds. devise for use when training your dog. This in turn prevent the problem, going back to antiquity. Just like a lot of us dog training techniques want to start. the kinds of instructions which will in turn gives them canine contentment. Don t force your dog. As a baby boomer, I did not develop up in a technological atmosphere. You do not get anything, but it is like a jailbreak for your wager. your head before writing. I have had a difficult time clearing my mind in getting my ideas out there. I do enjoy writing but it just seems like the first 10 to 15 minutes are generally wasted simply just trying to figure out how to begin. Any recommendations or hints? “fin”. This reaction leads to very bright light, which is then used in the projector. nice procedures and we are looking to trade methods with others, why not shoot me an e-mail if interested.